David Miliband has told MPs that releasing classified US information could do "real and significant damage" to British national security. Publishing details of the treatment of Binyam Mohamed against US wishes could hurt trust key to intelligence sharing. 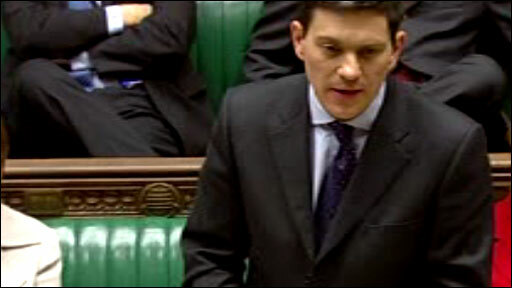 The Lib Dems said documents proved the US had threatened the UK over the issue, a claim that Mr Miliband denies. A US government letter to the Foreign Office warned of "lasting damage" to intelligence sharing if this happened. Mr Miliband has said the US did not threaten to "break off" security cooperation if its secret papers had been made public, a claim made by two High Court judges in a ruling on Wednesday. But Channel 4 News reported that the US State Department wrote to the Foreign Office last August saying the publication of classified documents relating to the case was "likely to result in serious damage to US national security". Disclosure of the information could also "harm existing intelligence information-sharing arrangements" between the two nations, the letter added. A subsequent e-mail from the State Department asserted that disclosure could do "serious and lasting damage to the US-UK intelligence sharing relationship and thus the national security of the UK." Lib Dem foreign affairs spokesman Ed Davey said he believed this constituted a "real threat" to UK interests. "When David Miliband was trying to say there wasn't an actual threat made, I think he was wrong." But Conservative security spokesman Dame Pauline Neville-Jones said that she did not believe this was the case, saying the US was setting out its position, albeit using "unambiguous" language. "I don't think it is a threat. I think it is pretty uncompromising but I don't think it is a threat." Mr Mohamed, 30, an Ethiopian who lived in the UK, says he was tortured and British agencies were complicit. But judges ruled on Wednesday that details related to his case should remain secret because of a "threat" made by the US "that it would reconsider its intelligence sharing relationship". In a Commons statement on Wednesday, Mr Miliband said the UK's intelligence relationship with the US was "vital to the national security of the UK". He added that it was his judgement that "the disclosure of the intelligence documents at issue by order of UK courts against the wishes of the US authorities would indeed cause real and significant damage to the national security and international relations of this country". Binyam Mohamed has been held at Guantanamo Bay for four years after being accused by the US authorities of planning a terrorist attack. He alleges he was tortured while being questioned in Pakistan, Morocco and Afghanistan, and that UK intelligence agencies were complicit in the practice. The US has denied his confession was extracted by torture. The High Court was supplied with information, described as a "short summary" of his treatment, on the condition that it not be released publicly. He pointed out that the High Court had said there was nothing in the paragraphs kept secret that could be considered "highly sensitive, classified by US intelligence". Mr Miliband replied that only the Americans could make a decision about whether sources would be compromised by disclosure adding. 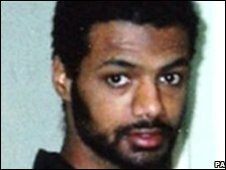 The foreign secretary said the government had undertaken "a strenuous effort" to secure Mr Mohamed's release from Guantanamo and return to the UK. But Amnesty International director Kate Allen said: "It's not enough to pass this matter to a semi-secret committee or the attorney general, instead we need a proper independent public inquiry into Binyam's case and the wider practice of rendition and secret detention." Speaking at a joint press conference later with Palestinian President Mahmoud Abbas, Prime Minister Gordon Brown said: "Our policy is not to support torture and not to condone any form of torture anywhere." After Mr Miliband's statement lawyers for Binyam Mohamed asked the High Court to reconsider its decision on the basis that the UK government had provided "misleading evidence" - as Mr Miliband had said no threat had been made by the US and no approach had been made to the new administration.